Well, I think I have been very good with regards to a certain festival that is fast approaching. The whole way through November I haven’t blogged about Christmas once! I’m afraid that is about to change. In the spirit of ‘make do and mend’ I want to blog about some simple crafts that can either be made from things around the house, or are really cheap to buy. So watch this space! This is my last hurrah before throwing myself fully into the Christmas spirit and although it’s not really Christmasy, it is, I suppose still seasonal. It’s a lion hat! It’s also been a huge success! Little monkey absolutely loves it, which I suppose it the point. It was actually a very easy pattern to work with. It was actually a bear that, once finished could be converted into a lion by adding the mane. 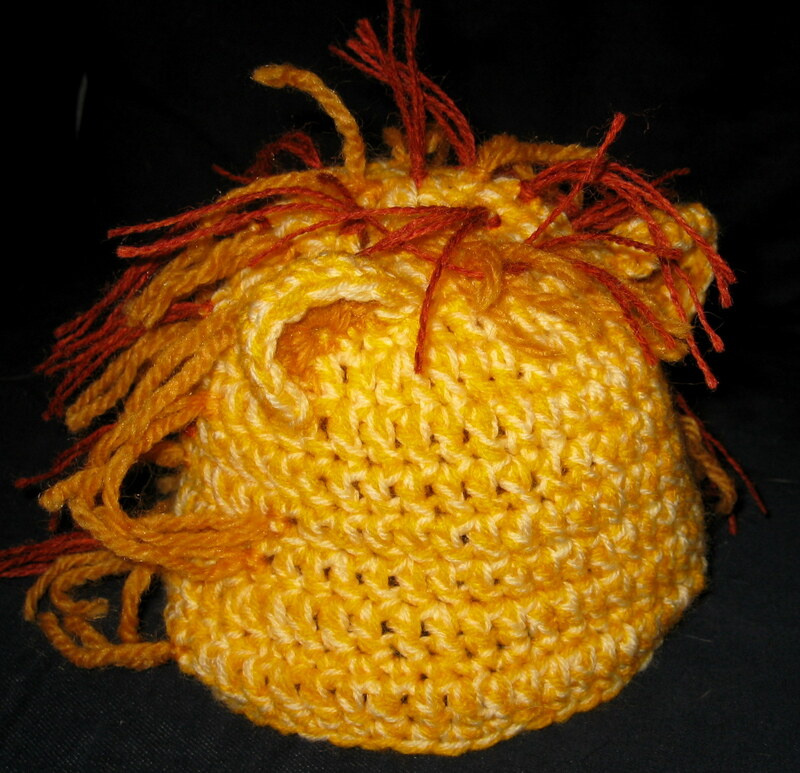 The pattern used chunky wool but as I didn’t have any in lion colours, I decided to used 2 strands of DK wool (1 bright yellow and 1 pale yellow – the pale yellow, stops the hot being overly bright). 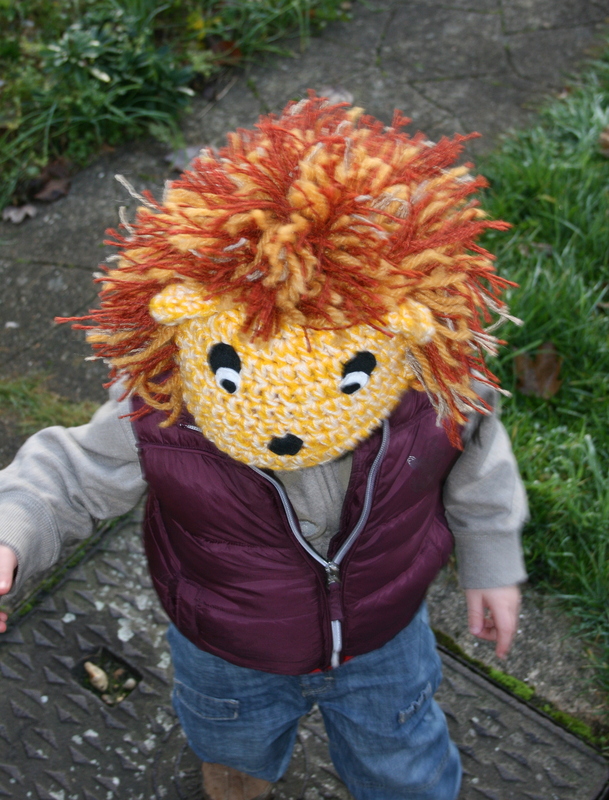 The mane took me longer than the hat did (which I managed to crochet in an evening). It was however a lot of fun and well worth the effort. I do love this hat!